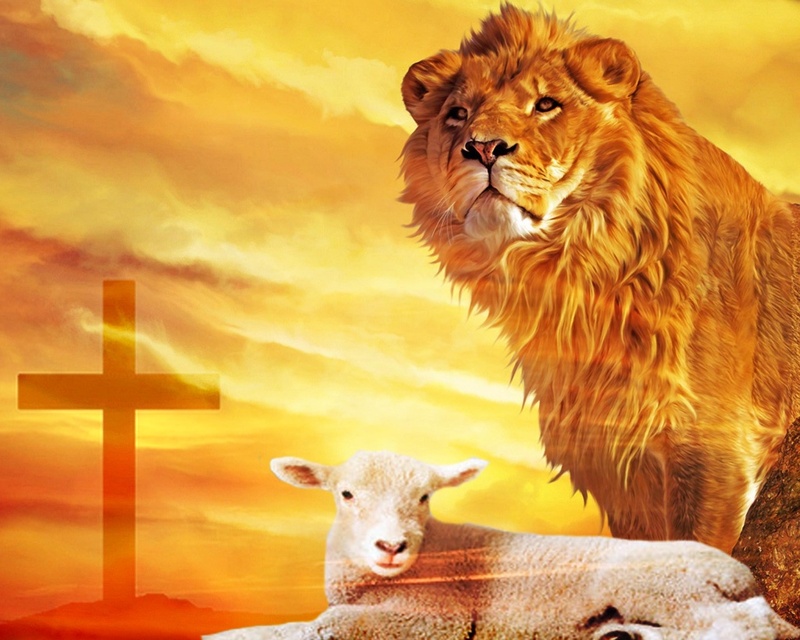 Istoria Ministries Blog: It's Thursday, But Sunday's Coming! Good old time grace based preaching! I had never before tied John 10:18 to His swift death. That's good. Love those rich nuggets! Thank you! Outstanding article Wade. I've held to a Thursday crucifiction for the past few years. Great job. Wade, I'm sorry but this is a terribly ignorant post. The scriptural evidence for a Friday crucifixion is overwhelming. ALL the gospels agree that the Sabbath was the next day, beginning at sundown. The Sabbath began at sundown Friday. Plus there's no evidence that the Passover Lambs were sacrificed at 3:00 p.m. A quick reading of good commentaries would correct your error. Robert, I'm not trying to be insulting but your comment belies the fact that you failed to read the article. If you had read the article you would know that Wade addressed your Sabbath issue very aptly. This is fascinating, but I'm puzzled by one statement. Doesn't the Jewish New Year (Rosh Hashanah)occur in the fall? There is a Jewish "civil" calendar and a "religious" calendar. In Leviticus 23 God calls the month of Aviv the beginning of the year for the Jews (the first month). I agree with John. Read the article and click on the source material (I took the time to connect the links). Much better to comment after you actually read the article and the source material. Thanks! I've heard this proposed calendar of crucifixion events previously. I’m sure you’re very educated and informed but given the thousands of theologians and very learned scholars at seminaries, writers of commentaries and ministers in churches that have served over the centuries who adhere to the “Friday crucifixion” what explanation would you give for the absence of consensus with your “Thursday” calendar? These prophets and Biblical interpreters like Harold Camping and others who use formulas and convincing arguments and their “prophetic views” that contradict positions established over the centuries and which have been examined and re-examined by scholars much more informed that myself seem to be surfacing at an increasing rate these days. I think I’ll withhold my excitement in this regard to the “Thursday crucifixion” interpretation but it is interesting and informative to read as you join their ranks. Answer this question: Since Jesus prophesied that "Just as Jonah was in the belly of the fish for three days and three nights, so shall the Son of Man be in the grave three days and three nights..." how do you get three nights from a Friday death? I am simply pointing out what Scripture says about the death of Christ, and though others place it on Friday, I find NO EVIDENCE from the text that He even could have died on a Friday. "Since Jesus prophesied that "Just as Jonah was in the belly of the fish for three days and three nights, so shall the Son of Man be in the grave three days and three nights"
they will flog him and kill him. On the third day he will rise again." The Son of Man must be delivered over to the hands of sinners, be crucified and on the third day be raised again.' "
He died on the 14th. He rose on the 17th - the third day. Greg, you didn't answer the question about the three nights. I agree the Thursday crucifixion fits better with Jesus' statement that he would be in the earth for 3 days and 3 nights, not just 3 days. 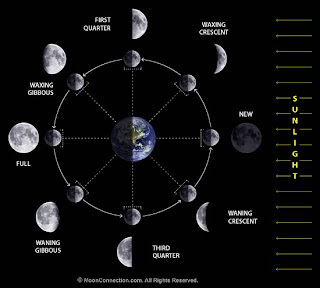 What do you think about the extra biblical evidence though, such as the early church's celebration of Friday, as well as the full lunar eclipse on 4/3/33 which might be the "blood moon" prophesied by Joel? Rick Larson has an intriguing discussion of the astronomical evidence on his site www.bethlehemstar.net though like most people he doesn't address the above textual problem. I'm going throw a curveball in here. Please check out the various pages on "Dating the Crucifixion" on the Star of Bethlethem website: http://www.bethlehemstar.net/the-day-of-the-cross/dating-the-crucifixion/ . Mr. Larson presents an argument for the crucifixion occurring in 33 AD based on the astronomical events surrounding the date. Just something to think about. I don't know who is correct but both approaches are fascinating. Let me qualify all of my comments by acknowledging that you are a much more astute Biblical scholar than I. That’s one reason I respect you and enjoy your posts and seriously consider your comments. I cannot answer your question as to “how do you get three nights from a Friday death?” when taking the position that Jesus died and was buried on Friday and in the tomb Friday “night” and Saturday “night” and arose on Sunday morning. But given the one reference by Jesus about being in the ground for “3 days and 3 nights” compared to 10-15 Scripture passages made by Him and witnesses that He arose “on the third day” I choose to take the traditional “Friday-Sunday” schedule. There are similar questions that arise in Scripture when it seems to contradict itself or other realities like, “6 days to create the universe so when did the dinosaurs roam the earth?”/ “God holds us accountable to decide whether or not we will accept Him but at the same time He is sovereign and all-knowing so what choice can we have?”/ “Father, Son and Holy Ghost but there’s only one God?”/ “The Rapture occurs but there is still a church in the world during The Great Tribulation?”/ “The 1,000 year reign of Christ on earth related to the chronological order of events pertaining to His return.” etc. I always try to take Scripture literally as it is written and search and pray to arrive at some conclusion most consistent with who I know our God to be and what His proclaimed Kingdom Plan to be. 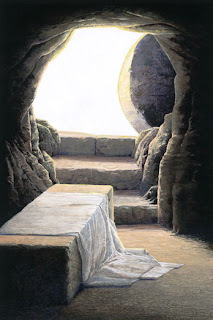 Due to the huge support by so many Biblical scholars that Jesus died the day prior to the traditional Jewish Sabbath, Friday, was buried in the tomb Friday, was there Saturday and rose from the dead on the third day, Sunday morning, I prefer to take that position. The most difficult conflict to reconcile with this position is of course the one reference to Jesus’ words when He said, “so shall the Son of Man be three days and three nights in the heart of the earth.” (Matthew 12:40). We find 10-15 passages where Jesus and witnesses refer to the resurrection taking place “on the third day”. One could conclude as you and others do that He was in the grave 3 days and 3 nights but then I could say He would then have to rise on the “fourth day” which is even more difficult to reconcile with all the references Jesus made to the contrary. When the two men traveling along the road to Emmaus meet Jesus they tell Him in reference to the crucifixion events AND the reported resurrection, “It is the third day since these things happened.” They don’t say, “It is the fourth day since these things happened.” which would have been the case had Jesus been crucified on Thursday, buried Thursday night, Friday night, Saturday night and then arose on Sunday morning. My intentions are not to convince you to agree with my position but only to point out why I do not accept yours. I do greatly benefit from your informative posts and respect you as a scholar and good source of information for me to consider. You said; "Jesus died on the 14th day of Aviv, 30 A.D. at 3:00 in the afternoon which would correspond to April 6, 30 A.D. on our western calendar." Since your research fixes the precise date of the crucifixion on April 6th, that would make the precise date of his resurrection on April 9th. Does you church observe resurrection Day on April 9th each year, or do you follow the traditional observance of Holy Week and Easter with the rest of us who are ill informed? (smile). p.s. I agree with a Thursday crucifixion. Similar to Christmas Day celebrations, we adopt cultural standards and celebrate the birth of Christ on that day, though we do not consider Christmas Day to be the birthday of Christ and acknowledge that nowhere in Scripture is there a celebration of Christ's birth except for the actual occasion of the Messiah being born. Were we to accurately celebrate the day of Christ's resurrection it would ALWAYS be the "morrow after the Sabbath" of Passover Week - but once again, our Roman Catholic brethren and western culture has adopted a convulated way to calculate the celebration of Easter and we follow culture on this matter. Probably more importantly, we celebrate the resurrection of Christ every Sunday, since that is the foundation of our faith. I do not believe the darkening of the skies on the crucifixion NECESSARILY has to mean an eclipse. I am reminded of other times where light was extended and darkness given where there was no astronomical sign. As far as the early church is considered I would ask "How early?" I grant that by the time of Constantine's reign (325 AD) the crucifixion day was fixed, but will not agree that the church earlier than this date affirmed a Friday crucifixion. 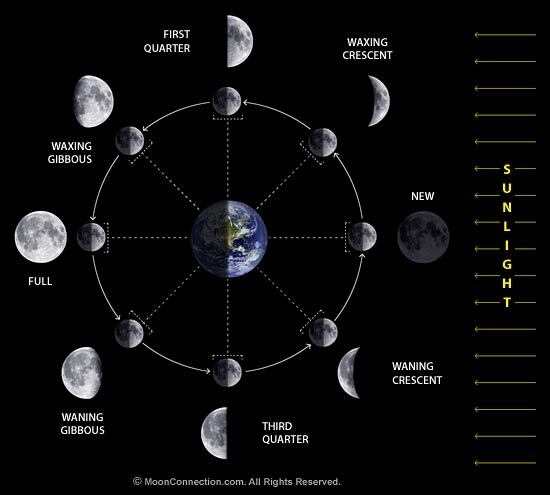 What Ryan was referring to re: the Star of Bethlehem's website (Rick Larson's work) is not a solar eclipse, but a lunar eclipse resulting in the moon "turning to blood." A total lunar eclipse results in the moon's surface turning blood red in color. While growing up I was bothered that you couldn't count 3 nights with a Friday crucifixion. The whole "part of a day counts as a whole day" scheme bothers me a bit, too. I was introduced to the "early" crucifixion by some Dallas Th. Sem. people. They also pointed to what seems to be a missing day in the Passion week if you have the Last Supper on Thursday evening. Some people debate the timing (on both sides of the issue), saying that Matthew uses Jewish counting, but Luke uses Gentile. I think it's a minor issue, not to get distracted from the Gospel message about. Paul warns about arguing about days and times and making such things an issue. Wade, I learn so much from reading your blog. I know it takes time to put it together. Thank you for taking that time. I'm a smarter, better-equipped Christian because of you. Thank you for this post. I was a young girl at Emmanuel Enid when you became pastor. The thought of Easter egg hunts and Christmas trees at that place will probably never sit well with my soul. I'm now grown, with my own family, and these pagan traditions are thankfully, with the conviction of the Father, far removed from our lives. But, try teaching that on an Easter Sunday, heh? Fascinating article. I agree, the connection between Passover and the passion narrative is definitely intended by the Gospel authors. One question, how do you deal with Mark 14:12-16? I’m curious because that passage seems to indicate that the Last Supper was a Passover meal. I’d be interested in hearing your thoughts. All, I first posted this article in 2013, and it's my tradition to update and repost every Easter season. The Mark passage TWICE said "they prepared" for the Passover, not that they ate the Passover. Preparation for the Passover involved several days. Jesus ate a LAST SUPPER with His disciples on Wednesday night. There is no mention of a Lamb - only bread and wine (food staples). I believe koinonia fellowship takes place at every meal and we are to "remember Jesus" when we are around our daily bread with those we love. The Lord's Supper is not a glorified Passover. It is a completely New Covenant concept that "whatever you eat or drink, do all to the glory of God." Christiane, everyone knows you are the anonymous on imonk spreading the Mueller report even though it has no connection to the post above. At least be honest. “He died he died on the 14th. As to the “3 days and 3 nights” — most scholars have long held it is a Hebraism, that is, a Hebrew figure of speech or colloquialism that simply means “3 days”. And there is precedent in both the Old Testament and other ancient Jewish writings for counting portions of a day as a day. I personally don’t think it is a significant issue, as it is a matter of interpretation, not a matter of one view being biblical and the other not biblical. I also think the core message is what matters - Jesus died for sinners to secure our salvation. and rose from the dead in triumph over death and the grave and sin, demonstrating that the Father accepted His sacrifice on our behalf. That makes it a Good Friday (or Thursday) indeed! Happy Easter, Wade! God’s blessings on you and your family! I believe Jesus being in hell for three days made Calvary look like a picnic. Countless people have died more painful, longer, and horrible deaths in honoring Jesus than the physical death of Jesus. 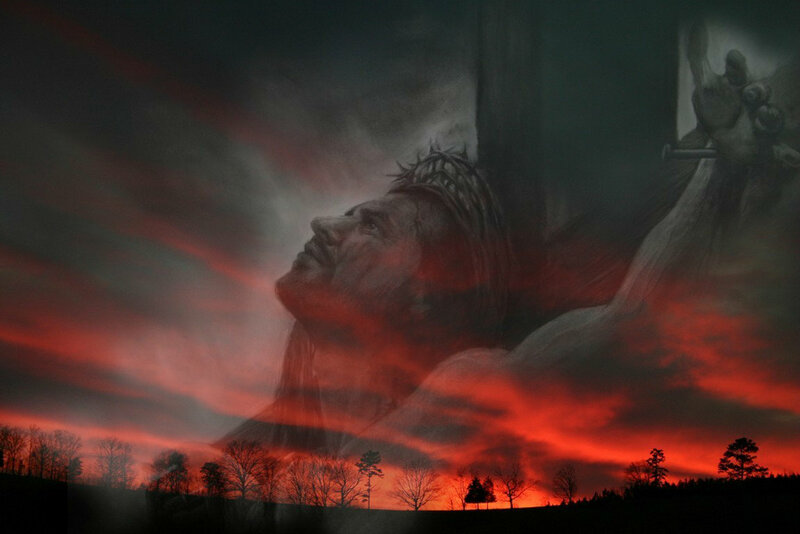 We can never fathom how much God loves us that he had his Son suffer for us on the Cross and in hell. "O Giver of Life, Christ our God, glory to You!"